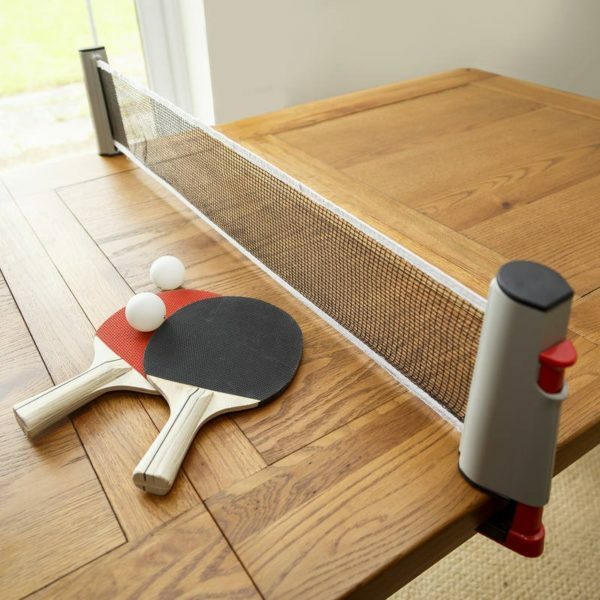 All-in-one table tennis set including two paddles, three balls and an extending net that can be fixed anywhere. Take the net posts and pull them apart to extend the net between them. Clip one post over the table edge using the simple non-slip clamp built into the bottom, then pull the other post across the length of the table and fix it in place to set up the net. The plastic vice grips on each post not only grip well to ensure stability, but they are also soft enough to ensure that no marks are left on the play surface after use.